It is available for school via Multi media box and it is available for Parents and Students via Virtual Preschool App. This is one of our many ways to develop cognitive, affective and psychomotor skills in children. It is a replication of our high quality print product. This option was developed in response to feedback from parents of young children who wanted to revise at home what was taught at school. Hence, A Virtual Preschool - with digital learning materials, activity guides, learning analytics, and "homeroom teachers," all accessible online through your tablet, or smartphone. My School ITALY is trying to integrate tablets and smart phones into a "multisensory" approach to teaching early-literacy skills. one of the goals is to help children recognise Dolch Words (sight words) and learn to spell. Parents can now access all weekly schedule. Children are expected to use the Virtual Preschool App for about 90 minutes per week. Parents are expected to do about 60 minutes worth of activities per week with their child, plus enjoy listening to the text book stories and bedtime stories, now available in our App together with their child every day. The child's work is tracked through My School ITALY’s online learning management system which give parents more "visibility" into what their children do each day. MSIK Digital Curriculum has been developed in cooperation with various academic and cognitive-development experts. It stresses on skill development and readiness for Primary School. You could see how well your child will be doing in school. Now you can gain that confidence by preparing early. 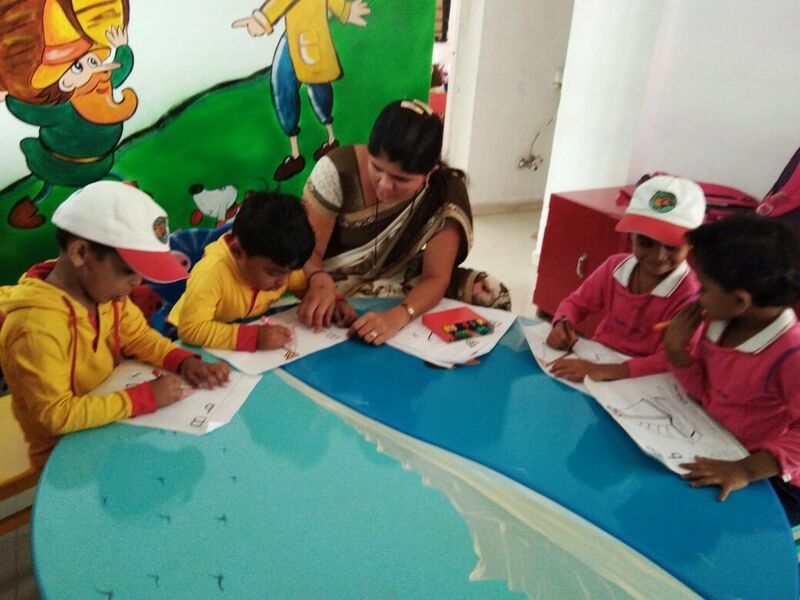 Our teaching method focuses on fostering each individual child's interests and natural inclination to learn, often in the context of practical life skills and hands-on play. It's not really about making a math genius at two years old, but to show parents what sequential learning can look like. The purpose is to provide parents with guidance on how to interact with their children. The opportunity to connect with teachers is probably the most appealing part of MSIK's Virtual Preschool. It provides parents with online access to what’s being taught at school. Hope you our Virtual Preschool will come a long way to making learning both interesting and fun.